How big is a petabyte, exabyte or yottabyte? What's the biggest byte for that matter? How big is a petabyte, exabyte or yottabyte? What’s the biggest byte for that matter? 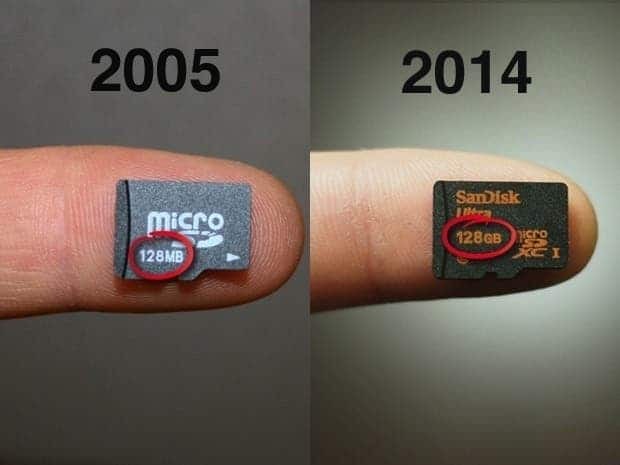 In less than ten years flash card storage has increased 1,000 fold. Credit: Computer World. Thirty years ago, back in 1983, the biggest hard drives stored about 10MB of data. That’s barely enough to store two or three .mp3 tracks. Now, a typical notebook has one terabyte of storage or nearly 100,000 times more but even this is figure is laughable when you consider how much data we’re generating. According to IBM, every day we’re creating 2.5 quintillion bytes of data and 90% of today’s digital data was created in the last two years. Even those who are computer savvy still look at data at the gigabyte or terabyte scale but it’s clear we’re moving well past this point. 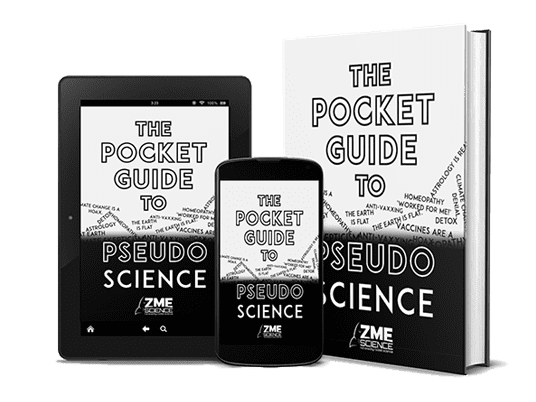 It can get confusing and dizzy so let’s take a brief overview of how we quantify data and put some context on some of the more obscure units of digital information like the petabyte or yottabyte. 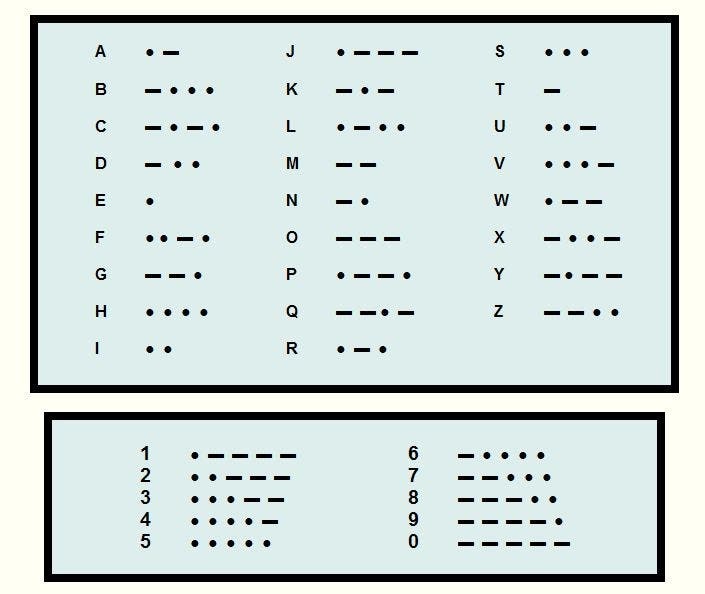 Morse code is binary. Credit: Web Courses. We humans perceive information in analog. For instance, what we see or hear is processed in the brain from a continuous stream. In contrast, a computer is digital and estimates such information using 1s and 0s. Communicating only in 1s and 0s may sound limiting at first but people have been using sequences of on and off to transmit messages for a long time. In Victorian times, for instance, people used the telegraph to send ‘dots’ (short signal) or ‘dashes’ (a longer signal) by changing the length of time a switch was on. The person listening on the other end would then decipher the binary data written in Morse code into plain English. Transmitting a message over telegraph could take a while, much longer than a message relayed over the telephone for instance, but in today’s digital age this is not a problem because digital data can be decoded in an instant by computers. In binary, 01100001 could be the number 97, or it could represent the letter ‘a’. Digital storage has several advantages over analog much in the same way digital communication of information holds advantages over analog communication. Perhaps the clearest example of why digital storage is superior to analog is resistance to data corruption. Let’s look at audio or video tapes for a moment. To store data, a thin plastic tape is impregnated with particles of iron-oxide which become magnetized or demagnetized in the presence of a magnetic field from an electromagnet coil. Data is then retrieved from the tape by moving it past another coil of wire which magnetizes certain spots around the tape to induce a voltage. If were to use analog techniques to store data, like representing a signal by the strength of magnetization of the various spots on the tape, we’d run into a lot of trouble. As the tape ages and magnetization fades, the analog signal will be altered from its original state when the data was first recorded. Moreover, any magnetic field can alter the magnetization on the tape. Since analog signals have infinite resolution, the smallest degree of change will have an impact on the integrity of the data storage. This is no longer a problem in binary digital form because the strength of magnetization on the tape will be considered in two discrete levels: either ‘high’ or ‘low’. It makes no difference what the in-between states are. Even if the tape experiences slight alterations from magnetic fields, the data is safe from corruption because the discrete levels are still there. The bit, short for BInary digiT, is the smallest unit of data a computer can read. Simply put, it can be either a 1 or 0. The byte is composed of eight bits. 1 Gigabyte: A pickup truck filled with paper OR A symphony in high-fidelity sound OR A movie at TV quality. 1 Gigabyte could hold the contents of about 10 yards of books on a shelf. 100 Gigabytes: A floor of academic journals OR A large ID-1 digital tapes. 1 Terabyte: An automated tape robot OR All the X-ray films in a large technological hospital OR 50,000 trees made into paper and printed. 1 Terabyte: 1,613 650MB CDs or 4,581,298 books. 1 Terabyte: 1,000 copies of the Encyclopedia Britannica. 1 Petabyte: 20 million 4-door filing cabinets full of text or 500 billion pages of standard printed text. 2 Petabytes: All US academic research libraries. An exabyte of data is created on the Internet each day in 2012 or 250 million DVDs worth of information. It’s equal to one septillion (1024) or, strictly, 280 bytes. In 2010, it would have cost $100 trillion to make a yottabyte storage system made out of the day’s hard drives. After ‘Yotta’, the officially recognized prefix system comes to a halt, likely because humans haven’t had the need to work with larger quantities of… anything really. There are some other measurement units, however, which go well beyond the Yotta and which are recognized by some experts in their fields. For instance, the brontobyte is 1 followed by 27 zeros and some believe will be the scale of data enabled by the internet of things (smart devices from toasters to fridges to home sensors that constantly transmit and receive data). Gegobyte is 10 to the power 30, which by now is futile to count in DVDs or anything like it.